Mar 12, 2018 – Forty-nine people died when a US-Bangla airlines plane crashed at Tribhuvan International Airport (TIA) in Kathmandu on Monday afternoon, Nepal Police said. There were 71 people including four crew members on board the 78-seater Bombardier Dash 8 Q400 aircraft that took off from Dhaka, Bangladesh. 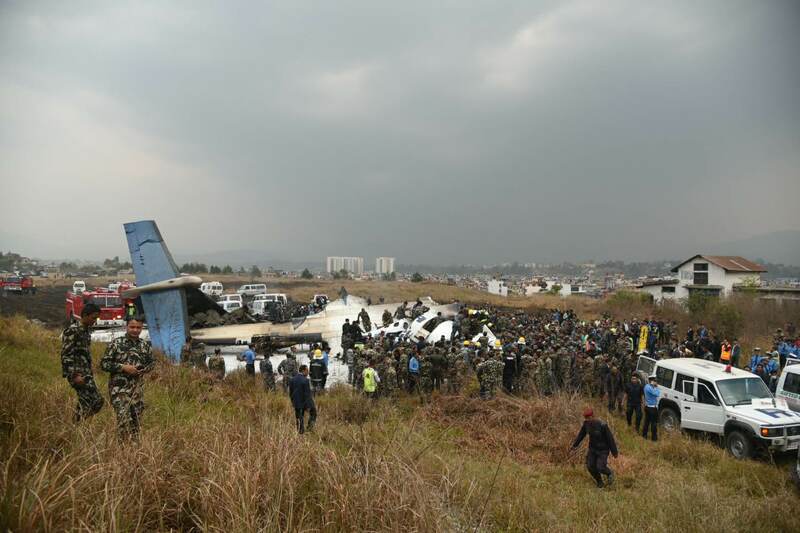 The plane crashed at 2:18 pm local time. According to Nepal Police Spokesperson DIG Manoj Neupane, 22 injured passengers are undergoing treatment at various hospitals in Kathmandu. Twelve passengers have been admitted at Kathmandu Medical College Hospital, Sinamangal, four at Norvic Hospital, Thapathali, three at Grande Hospital, Dhapasi, one at Om Hospital, Chabahil and one at Medicity, Bhainsepati. 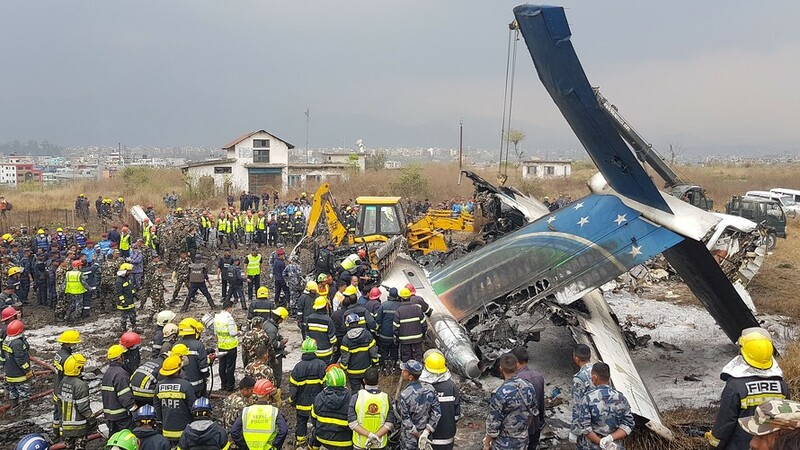 Nepal Police DIG Manoj Neupane said 31 bodies were pulled out from the crashed plane and nine others were declared dead at different hospitals. According to TIA spokesperson Prem Nath Thakur, the aircraft with call sign S2-AGU caught fire after it careened off the runway during landing and crashed onto a football ground near TIA. Rescue team of TIA and Nepal Army personnel rushed the accident site following the crash. All flights in and out of TIA were cancelled for about three hours following the mishap. 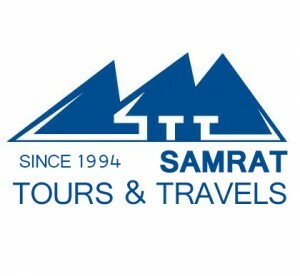 Tagged plane crashes at Kathmandu airport, Samrat Group Nepal, Travel News, US-Bangla Airlines plane. Bookmark the permalink.